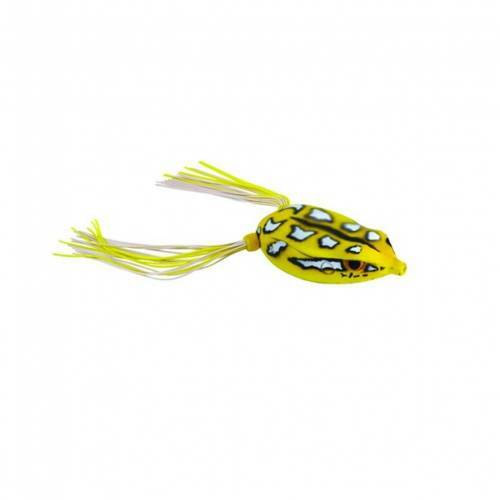 SPRO Bronzeye Frog 65 - Rainforest Yellow. Utilizes the full potential of Gamakatsu's EWG Double Frog hook, which is 2X stronger and has more exposed bite area. Narrow, long body design has the weight molded into the body and cannot fall off or move. Frog body resists filling with water and rubber legs are secured inside the body and won't pull out. 2.5" long. 5/8oz. Super Sharp Gamakatsu Double 4/0 hook.